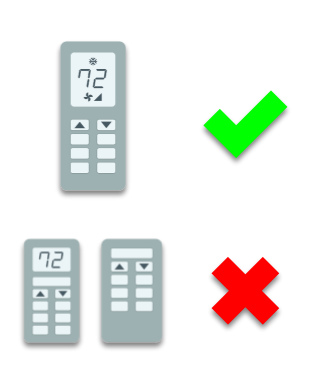 Flair Smart Vents give you Room by Room Control. I was much more comfortable working in my upstairs office today than I have ever been. The support is fantastic. Got my first Puck configured in minutes. I love the UI. Thank you! What an amazing product! This easily solves the cold room problem that most homes probably have. The Pucks are fantastic little pieces of equipment. The ability to have a thermostat in every room without wiring it up to the furnace is amazing. The Smart Vents are extremely high quality. Will Flair work for me? Try our comfort calculator to determine the best Flair system for your home!